“I’m never brining any of you any more encargos,” my mom complained as I help her lift the two huge suitcases you see in the picture above into my car’s trunk at Denver International Airport yesterday. She just got back from a six-week long trip to Peru and both my sister and I bombarded her with our lista de encargos even before she left. In fact, mine kept on growing while she was already there and I remembered I also wanted this thing or the other thing and emailed or called so she could add it to the list. But while my mom complains about what a pain it is for her to go running around Lima getting us our encargos and then complains about having to pay the overweight fees at the airport, I know she’ll always bring these things back because she knows how much it means for us to have a little piece of our homeland here in Denver. Have you ever had any of these? While I can find many of the Mexican candies I grew up with, the Peruvians are a lot harder to come by now that we live in Colorado. Getting them directly from Peru, then, is a real treat. The majority of these have already gone into hiding, as Vanessa has become addicted to some of them too and so if I leave them laying around, they’ll disappear before I even taste them myself. 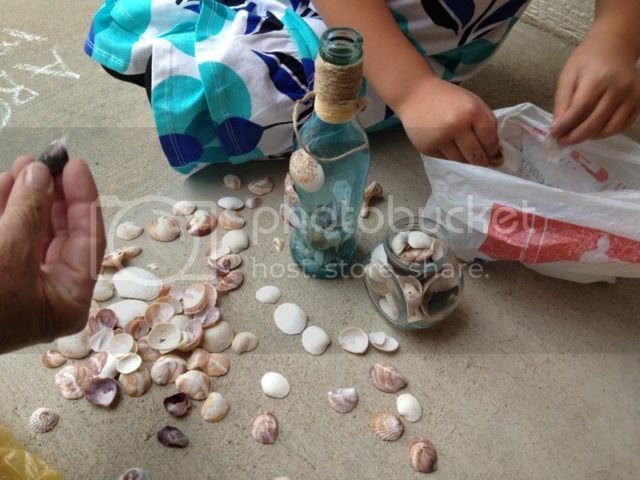 Because my mom is an awesome mamama (the name many Peruvians calls their abuelas), when her nieta Vanessa asked her for some conchitas from the beach in Peru, my mom not only obliged, she actually brought back more than 100 sea shells picked by her brother — my godfather — and one of her cousins. Needless to say, my daughter was in heaven and already has plans to make several necklaces out of the ones that have little holes. 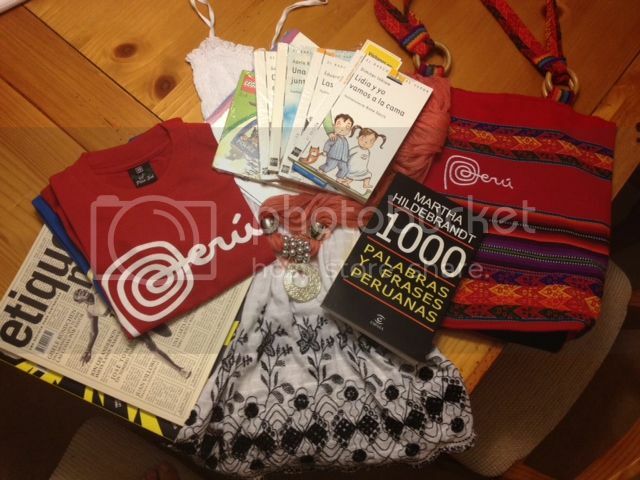 Last, but not least, a bunch of beautiful finds from my home country, including T-shirt with the new Perú logo as well as several books for kids learning to read in Spanish for Vanessa, which I promise to write more about soon. For now, you should know that I got the recommendations for the book from the librarian at the dual language school I used to attend as a child back in Peru… so you know they’re awesome. What’s on your list of encargos? I’ve never had Dulce de Uchuva, Claudia, but it sounds interesting! Would love it if you could share some of the titles of the books you get for your sons from Libreria Carvajal. Hi I born in Peru and now I’m livng in WV. Looking at ur pictures was like looking back when i used to go to the tienda and get my favorite treat “cua cua” . It is hard to find peruvian candies in here too, but I have a feeling that the peruvian comunity is growing more and more. I’m so proud everytime I read or watch the news and there’s more and more peruvian restaurants opening in here. Yes! I’m also super happy that there are more and more Peruvian restaurants opening up across the country. I hope you get some tiendita near your home soon where you can buy some Peruvian products! Me too! Living in WV, I have to go to the Virginia-Dc area to get to the nearest Latin American supermarket. We go with two empty coolers and fill them up! My children grew up here, it has always been a challenge to keep the language…Now we’re having our first grandchild and we’re hoping she’ll also be bilingual. Btw, great website!!! I couldn’t resist commenting when I saw the suitcases: “encarguitos” is sometimes a very scary word! Thanks so much for the memories! This brings memories of the many encargos my mom has brought back from when she went to Mexico. The airport in NYC are more strict because on one ocassion they had sniffing dogs and they made my mom throw all the candy she had. It was camotes from Puebla and pepitas! 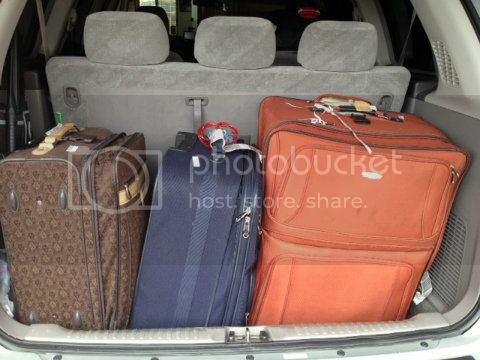 Then to make matters worse it was the whole familia 8 ppl and they searched all of our bags. When one of the agents threw the pepitas to the garbage she started sneezing and said she was having an allergic reaction from the “dust in the seeds”. We ended up paying a 200 dollar fine for it. I felt really sad when they threw those camotes and pepitas! Nuestros encargos used to look very much like yours since my husband is also Peruvian and can’t live without his Dona Pepita. 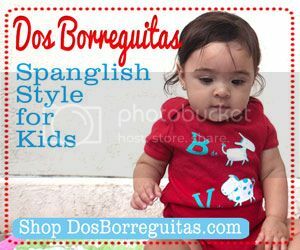 Now, that we are parents, we’re all about authentic books for our daughter, so the majority of our encargos come from Libreria Crisol! Luckily, the Tienda Latina around the corner from our house carries the majority of his old time food favorites. My personal encargos always come from Colombia…..arequipe and Cafe Colombiano! Elizabeth, my grandmother lives about 3 blocks from one of the Librerias Crisol. It’s one of the first places I go to whenever I’m there and it’s the place from where I’ve gotten the majority of my children’s books in Spanish. It can get a bit expensive, but it’s totally worth it. 8 yrs ago in Arequipa I discovered chocolate by La Iberica – now that is my only chocolate request. Choco-Soda are yummy (soda crackers covered in chocolate). Also eyeglasses! – way cheaper there, my parents take my prescription along. This last trip I requested some dvd’s for my toddler. Last year they set me up w/ Dora ones. Wasn’t sure which to request this time, so sent some titles, see what they come back with. Hi–Please share the names of the books. My soon to be new neighbor goes to Peru every other month for work. I am hoping that he’ll bring me some encargos to help my budding reader. Love the new Peru logo. Loved the post! Could you please share the book reading list? Muchas gracias! My “encargos” from Peru are mainly books for my almost four years old daughter. The books written by Andrea y Claudia Paz are great, for example: “Feliz cumpleaños ! Pollito”, “La cabrita comilona”, and many others. She also enjoyed “La pequeña peleona” by Madeleine Marion”, and “Capitan, el perro marinero” by Erika Stockholm. And of course, I also enjoyed candies like “caramelos de chicha morada”, chocolates “princesitas”, and tofees from “La Iberica”, and many other “Delicias” from Peru, my beautiful country. 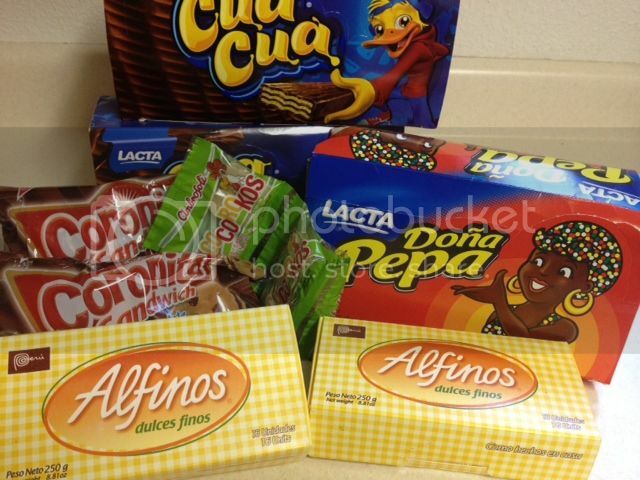 Everytime a member of my family (all my family is Lima, Peru) comes to NY I always ask for Peruvian candy! It’s the best. My husband loves it, too. 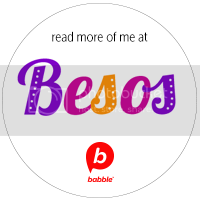 His favorites are “Besos de Moza” and “Cua Cua”. Good thing our 7 year-old doesn’t like candy that much! Mi mami viene en una semana y ya le mande mi lista de encargos también! Particularmente me encanta las “chocotejas”. They are such a delicious treat and make a great gift. Everyone loves them! Roxana, I’m also from Peru living in Denver. I’ve been very lucky to be able to go to Peru every year so I always bring my chicha morada and limonada en sobre (marza Zuko) really good. Sometimes I bring Dona Pepa and Cua Cua also. 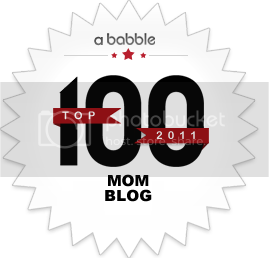 You need to tell me what books are you buying as I’ve been trying to find good ones for my two little ones but I haven’t been very successful. I always go to Crisol but children’s books are expensive and not very good quality. Hopefully I will be landing in Jorge Chavez around mid June so let me know about the books. looking forward to hearning from you soon. Roxana, I brought back some of the same things from our trip to Peru (Trujillo & Lima) at Christmas. And I, too, had to hide the chocolates to make them last. My favorites are Mecano and Princesa, and my hubby (the actual Peruvian, haha!) loves Sublime and Dona Pepa. Oh, and we all love a cookie called Morochas. LOVE ‘em! I also bought the Martha Hildebrandt book in your pic, though I haven’t looked at it yet, and our whole family was given t-shirts with the new Peru logo as Christmas presents! The only problem: Eating all those chocolates has made my t-shirt muy apredadito!!! Is there any website you can buy the chokosoda from? Those chocolate covered crackers are delicious!